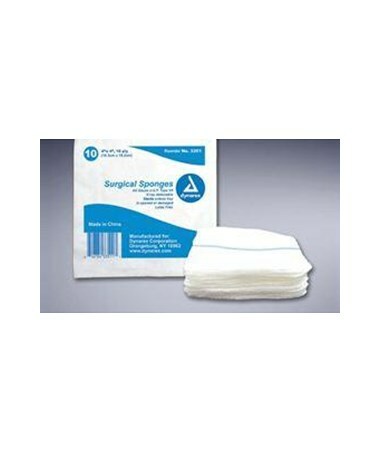 Available in 12" X 12" and 18" X 18"
visible when saturated with blood. X-ray visibility corrects unintentional retention in patients. 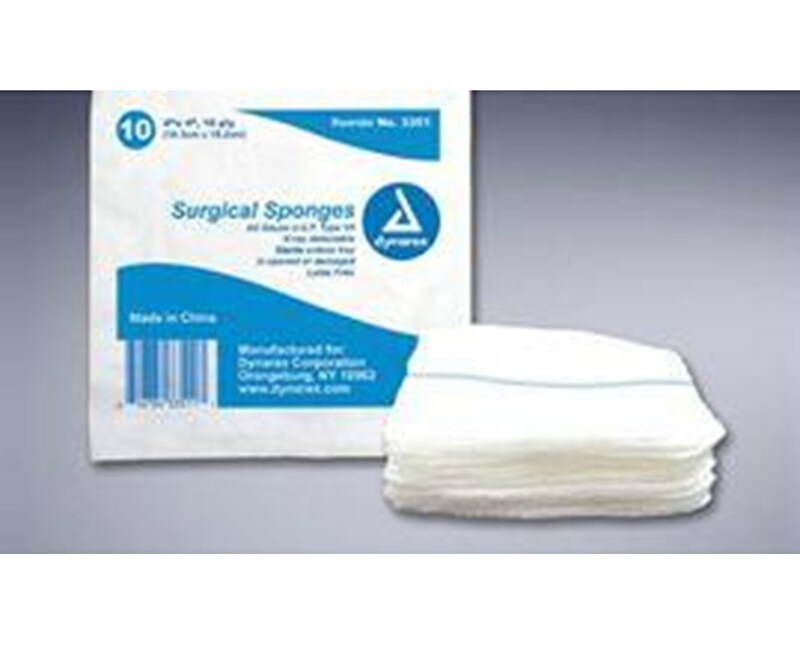 Dynarex Sterile Lap Sponges are conveniently packaged in trays of 5 making handling easier and more efficient.